For the complete story, visit www.lohud.com. 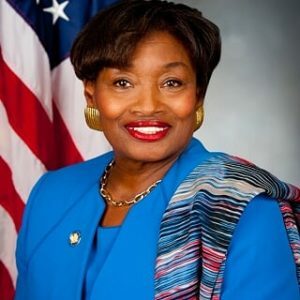 State Senate Majority Leader Andrea Stewart-Cousins called on state Comptroller Tom DiNapoli and law enforcement agencies to probe the Irvington Union Free School District following an investigation by LoHud Tax Watch columnist David McKay Wilson of the district’s employment and technology practices. Stewart-Cousins, whose district includes Irvington, wants DiNapoli to look into the work by the district’s director of technology Jesse Lubinsky and his moonlighting for EdTechTeam, an education partner of the tech giant Google. Since Lubinsky was named director of technology in 2017, Irvington’s purchases of Google products quadrupled. Lubinsky announced his resignation last week, effective March 25. The district administration has allowed him to work from his Mt. Kisco home until then. Lubinsky’s job responsiblities include facilitating the purchase of technology products, maintaining relationships with tech vendors, and training Irvington staff on technology. Irvington schools Superintendent Kristopher Harrison said Lubinsky will do none of those jobs while working from home. Tax Watch found that taxpayers financed Lubinsky’s travels to conferences where he was working as a presenter for EdTechTeam, which holds workshops to teach educators how to use Google products in the classroom. The investigation found Lubinsky worked for EdTechTeam on days he was supposed to be working for Irvington, according to district attendance records.